JTJB Managing Partner Murali Pany was a panelist in the Offshore Marine Breakfast held at Marina Bay Sands on 27th April during Sea Asia 2017. 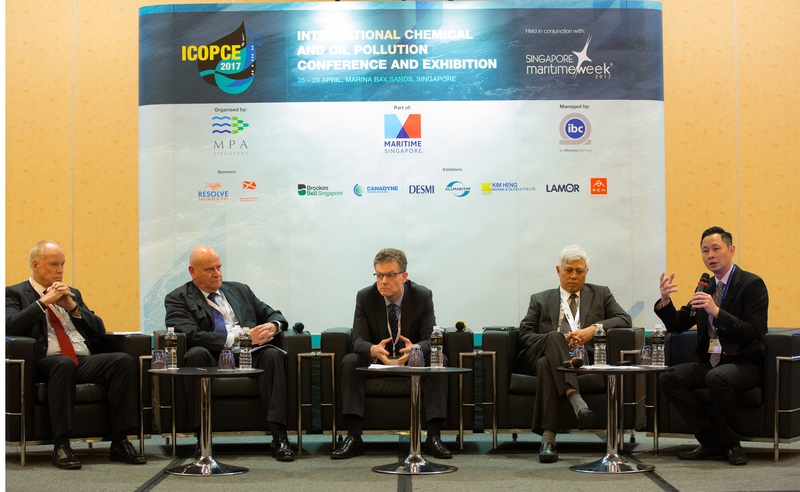 The Panel covered topics on risk management, restructuring, evaluation of the energy markets and what lies ahead for the offshore marine sector in Singapore. 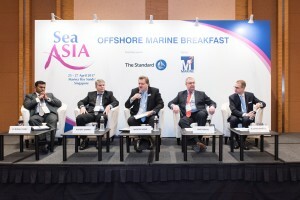 The Panel, moderated by Seatrade Editor, Marcus Hand, also comprised Rupert Banks, Regional Claims Director of Charles Taylor Mutual Management Asia Pte Ltd, Captain Mike Meade, CEO of M3 Marine Group Pte Ltd and Bjoern Sprotte, Managing Director of Technical Management & Services of OSM Maritime Group. 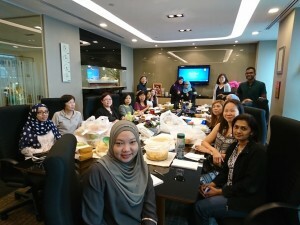 Senior Partn er Mabel Tan conducted a lunchtime seminar on Lasting Power of Attorney and Wills on 12th May 2017. Particular issues covered were the importance of writing a will, Section 73 Conveyancing and Law of Property Law Act, CPF nomination and Lasting Power of Attorney. 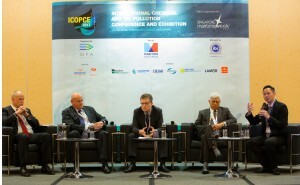 JTJB Deputy Managing Partner John Sze conducted a preconference workshop on salvage contracts and moderated a panel discussion at the ICOPCE Conference 2017 held at Marina Bay Sands Convention Centre on the 26 April 2017 as part of Maritime Week. Titled “Claims Panel: A Practical Look at How to Manage the Process”, panellists examined various aspects including, key issues in a major casualty, 3rd Party Funding options, Security/ Countersecurity for claims. The Panel comprised leading maritime professionals from Maritime and Port Authority of Singapore, Gard, Thome Group of Companies and The Shipowners’ Club. 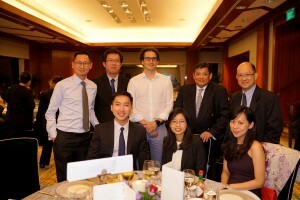 JTJB was a co-sponsor of the Speakers’ Dinner at Sea Asia 2017, together with Port of Singapore Authority. Held at Swissôtel The Stamford, the Dinner hosted the various speakers at Sea Asia 2017 who comprised leading maritime industry professionals from Singapore and around the world. JTJB’s maritime lawyers were heavily involved with Sea Asia 2017 and Maritime Week 2017 as speakers and delegates.